This morning, I had to stop and think for minute while I wolfed down some instant macaroni and cheese—that’s right—Mac & Cheese for breakfast. But that’s not the point. What had it taken to get this meal to me? Pasta has been around for eons. This pasta however, has been re-engineered to cook in 3.5 minutes in a microwave oven. Someone or a team of someones spent research time figuring out how to do that. They figured out exactly how much water is needed to cook the pasta in such a way that no drainage is necessary and just enough water remains so the the powdered cheese mixes right in. The whole process ends in that consistency that makes macaroni and cheese so yummy. Someone also figured out exactly how much room is needed for the mixture to cook without boiling over in a single serving container. People experimented with all of that until they got it right. How many and for how long? Powdered cheese has been around since at least the ’50s. Who thought of it!? Why? How many people were involved in coming up with this substance that tastes like cheese, but acts nothing like it? I have no idea what it is. Is it real cheese? It tastes good, so I eat it. Now, consider that the amount provided in my little pouch matches the water and pasta provided—perfectly. That doesn’t happen by accident. Nor does the miracle packaging. I won’t even talk about the process of packaging the powder in the pouch before it joins the whole ensemble. I’m sure I’m doing a team of engineers a disservice by skipping that. I’m sorry. The cup alone is a marvel of resource management. The cup in which the product is delivered must be clean enough for food inspectors. It had to be designed to be acceptable to the average human. They even put a helpful fill line on the inside of the cup so I don’t have to measure. The position of the fill line and the size of the cup had to be calculated to match the specifications provided by the foodies who figured out the volume of the pasta and water mix after the right amount of water had been added. Then, it had to be printed. Printing is an art established hundreds of years ago. Lets forget for a minute that Gutenburg had no idea what plastic was. Let’s tell him that we are going to print millions of copies on a quasi-cylindrical, flimsy container, in color, fast enough to be consumed by the tens of thousands daily. Now let’s tell him that people will throw these away without paying much attention to what’s printed on them. Would he be pleased or appalled? I hope the former. Every container is printed (cylindrically and without distortion on foam on plastic) with logos, legal disclaimers, advertisements, and directions. All of these were written, copy checked, made to fit the space, and sent off to a packager who figured out how to get it printed. My head spins at the effort. I only gave the directions a once-over glance to find out two things. How long do I cook it? Do I add the cheese first or after? They could have said, “Cook 3.5 minutes. Add cheese.” I would have been fine with that. But they were nice words that someone was paid to write. Most everything on that container I simply ignored. I’m sorry Gutenberg. I’m sorry labeling team. Did you notice that I breezed over the plastic? Plastic has only been around for 175 years. Yet, years ago we already found it so common that we started using it for disposable things. Does anyone really understand plastic production who is not inside the industry? What is the molding temperature? Do you need PET 5 or 7 or some other number or maybe PVC or one of the many other variants? I mean, you’re cooking food in a microwave oven. It has to get hot enough to cook but not melt or outgas some strange tasting chemical into the food. Someone has to know and study this stuff. Someone has to make the molds—has to know how many units the mold can produce—when it makes economic sense to repair the mold or cut a new one. The man-years behind managing that alone is staggering. And remember, the end result must be sterile enough to use for food. These units are also coated in a foam-feeling outer layer of plastic. It feels friendly and probably helps hold the heat of my dinner. Who thought of that? Who decided it was practical or even possible!? Who figured out how to do it? The container itself is topped with a thin film of plastic. 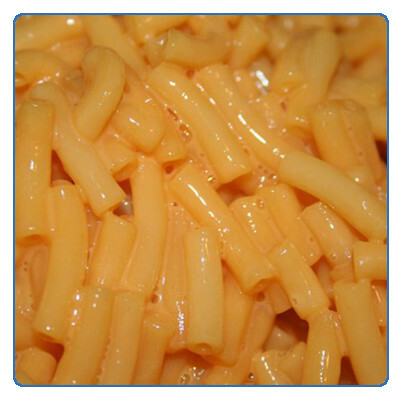 It is printed with the Kraft logo or a color picture of mac & cheese or perhaps both. That, I’m sure, was someone’s project. But wait, there’s more! The plastic film is adhered to the container with enough strength to stay on and keep the contents inside during the rigors of final packaging, shipping, and stocking. Yet, it pulled off with almost no effort at all. That is not an accident! People think about these things! Who knows, maybe they even lose sleep over them? In all of this, I am sure I have missed entire sidelines of effort and offended many who are involved in the project. Again, I’m sorry. Your valued contribution is appreciated if not noticed. There are administrators and economists who must not be forgotten. The administrators keep things running without directly impacting the product. They must be paid, and they are necessary. The economists are the ones who decide that—after all this effort—even with the store taking a profit, paying their staff, managing product loss, and listening to my complaints—they are the ones who decide it is okay to sell these to me at 4 for $3. This morning I wolfed down 75￠ worth of product and packaging and probably threw the most expensive part away. I hope that next time you and I do this, we remember how amazing it really is and take a moment to recognize those careers that were spent so we could have a brief moment of pleasure rushing out the door on our way to work. Thanks for that Todd. It’s easy for us to get caught up in bashing the system, complaining that prices are too high, and generally blaming corporate greed for everything. Our own greed is often to blame. We want someone to hand us our living, but we don’t consider that healthy, competitive capitalism has already done that. I saw a bumper sticker on a car today that complained about oil fracking coming to our state and destroying its purity. So, who’s state should host the fracking that allowed for the car to have gas to get to the super store in whose parking lot the car sat? That is, a super store that uses large trucks that run on gas to get products from all over the country and deliver them to you for comparatively nothing. I’m sorry, you’re not allowed to complain about the economy, shop at a super-discount store, drive a car, and tell business to get out. It’s disingenuous. Go live in a tee-pee and then tell business to get out. This is the beauty of Capitalism. All of the knowledge and technologies that go into something like this did not come about from top-down directives. You have thousands of people all working on individual parts, motivated by their own desire to make money for themselves. This self-interest is harnessed by Capitalism, turning this self-interest into a societal good without coercion or sacrifice. No one is forced to serve anyone else to their detriment. Everyone gets paid. And no single entity decides what is best for society. We each contribute a vote via our purchasing decisions. That guy says it better than I can. And the economy of it is fascinating. Look at all the work that goes into it and the relatively cheap price – yet people up and down that supply chain profit from it. How is that possible? I’m always amazed when I see a cheap plastic ‘whatever’ that can be sold for pennies, yet there is enough margin there to ship it from China. Or look at low density materials like toilet paper. How much toilet paper can a semi carry? And how much does that load cost in retail? It just doesn’t seem like a lot of room for significant profit per truck-load, yet they manage to stock the shelves. Compare the value of a truck load of flat panels to a truck load of tissues. I wish more people spent time really considering the full supply chain of the items they run in to in their day to day lives. And I wish more people understood what it takes to run a business and make a return on the investment. Instead we get the social justice crowd trying to tear down the greatest economic structure created by man.